After four exceptionally strong weekends in a row, the fall 2012 box-office ended on a sour note with the Top 12 cume diving 32.9% to $81.2 million as four openers failed to gross a combined $25 million with two delivering some of the worst openings ever considering their respective theatre counts. Only one movie managed to pass $10 million over the three-day period. Unsurprisingly the numbers were also down 13.2% from last year when Puss in Boots slightly underwhelmed in its opening, but still grossed almost three times as much on top as this weekend’s winner. With Hurricane Sandy ahead, the upcoming weeks’ box-office might be deflated to a degree that will hurt this year’s chances to become the biggest year in box-office ever. It took the film three weeks, but Ben Affleck’s Argo finally climbed to the box-office throne as it held admirably once again. Down mere 26.5% from last weekend, one of the year’s big Oscar hopefuls grossed $12.1 million in its third frame and brought its running total to a terrific $60.5 million after 17 days. Argo is still tracking $3.5 million behind Affleck’s last directorial effort, The Town, but it is closing the gap very quickly and should certainly pass The Town’s $92.2 million total by the end of its run. 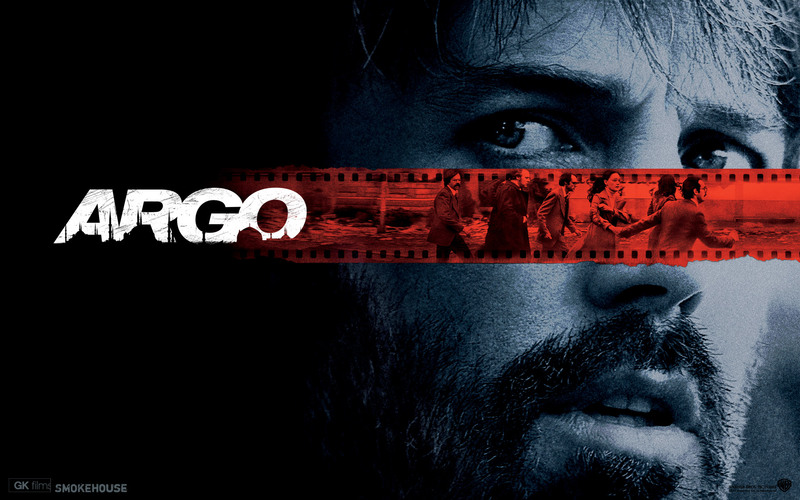 In fact, the second sub-30% drop in a row solidified Argo’s shot at a $100+ million final cume. The film’s main problem at this point is the fact that it will be losing screens and theatres to new competition. Terrific word-of-mouth, as clearly indicated by its “A+”-CinemaScore will offset that a bit, but fact remains that even though it is performing very well, its per-theatre-average is just not that exceptional, meaning that many theatres will drop it to make room for Skyfall, Flight or Wreck-It Ralph. That will most likely prevent its legs from fully developing their potential. However, I expect the movie to receive a second life once the awards season kicks into full mode and probably be re-expanded at some point around the Oscar nominations. At this point, it looks likely to finish somewhere around $110-120 million, provided it scores some major Oscar nods, but no wins. If it, however, manages to win Best Picture, then it’ll obviously go further than that. Either way, with a $44.5 million budget to boot, Warner Bros. and Ben Affleck can claim great success. Another Warner Bros. picture occupied the second spot of the charts. The collaboration between the Wachowski-siblings and Tom Tykwer, Cloud Atlas, bowed to $9.6 million from 2,008 theatres for the best per-theatre-average in the Top 12. It did $4,787 pet theatre which is still far from great given the rather small theatre count. Given the humongous $102 million budget and the lackluster “C+”-CinemaScore, there is no way to deny that the movie flat-out bombed in the USA. Though it comes hardly unexpected given WB’s rather passive marketing, the ambitiousness of the project and the grand 164 minutes running time. Still, given the talent involved (the cast includes Tom Hanks, Halle Berry and Hugh Grant among many others), it’s a terribly disappointing opening. Then again, after the Matrix sequels have effectively ruined their reputation, the Wachowskis just haven’t been big names outside of cinephiles. Their Speed Racer ($43.9 million total on a $120 million budget) was a major flop as well. However Cloud Atlas is yet another level of a financial bomb. For Tom Hanks it is the worst wide opening in over 15 years and the film also managed one of the worst openings ever for a movie that was simultaneously released on IMAX as well. Given its likely frontloadness, the mediocre WoM and the mixed reviews, it won’t stick around for long. I expect it to leave theatres pretty quickly with a $23-25 million total. Having added a new short film playing before the main feature and 262 additional locations, Hotel Transylvania had the second-best hold in the Top 10 as it dropped 27.4% to $9.4 million. In the process, it was able to improve from #4 to #3 this weekend with its running total standing at $130.4 million after four weeks. Now Hotel Transylvania is officially the biggest animated movie produced by Sony, having surpassed Cloudy with a Chance of Meatballs ($124.9 million). Hotel Transylvania was obviously able to benefit from the general lack of new movies for families as well as being the major Halloween option for kids. Tracking $22 million ahead of Cloudy, Hotel Transylvania stands a good chance at hitting $150 million, unless Wreck-It Ralph completely annihilates it next weekend. Either way, even if it doesn’t actually hit $50 million, it will definitely finish in close proximity to it and should therefore be considered one of the biggest surprise hits of the year. I see it finding its way to around $145-150 million by the end of its run, making a sequel pretty likely. Last weekend’s champ Paranormal Activity 4 dropped like a rock in its sophomore weekend. Down three spots to #4, the horror sequel lost 70.7% of its audiences and took in $8.5 million over the three-day period for a running total of $42.5 million after ten days. That means that its second weekend was only around half of what the movie did in its opening day! Paranormal Activity 4 is a classic case of the difference between disappointment and flop. Financially, it is still an obvious success on a $5 million budget and with good overseas numbers to boot as well. However, at this point it is lagging $38.5 million behind its immediate predecessor and when all is said and done it might not even do in total what Paranormal Activity 3 did in its opening weekend last year ($52.6 million). That would put the series in the Saw V/Saw VI scenario where something similar has happened, albeit with smaller grosses overall. Terrible WoM is clearly hurting the film and once Halloween is over, it’ll start shedding screens and theatres like crazy. Even the fact that it won’t face any horror competition anytime soon won’t help its case. Paranormal Activity 4 should wind up with $53 million in the bag. Silent Hill: Revelation 3D claimed the second spot of the charts on Friday, but plunged quickly and settled for fifth overall. Distributed by Open Road Films, Revelation opened to $8 million from 2,933 venues for a PTA of $2,735. Around 74% of that came from 3D-showings. This opening is significantly worse then what its predecessor opened to in 2006. The first Silent Hill got out of the gate with $20.2 million in a pretty much identical number of theatres. It went on to gross $47 million domestically. With six years of inflation and the 3D premium, Revelation’s opening is nothing, but disappointing, even with its production budget reduced from $50 million for the original to $20 million for the sequel. Then again, Silent Hill: Revelation 3D is as after a not-particularly-original, it doesn’t even reboot the story, but instead actually uses the first film’s characters and actors for some sort of a continuation. The critics blasted the movie and the audiences weren’t much happier either, awarding it a terrible “C”-CinemaScore. All that doesn’t exactly promise a lasting life in theatres. The flick will end its run before reaching the original’s unadjusted opening. I see a $17-19 million finish. Taken 2 slipped three spots to #6 as it brought in another $7.7 million (down 41.8%) over the weekend for a running cume of $117.1 million. The action sequel with Liam Neeson is still tracking a formidable $22 million ahead of the predecessor, but it has also reached a point at which the first Taken is catching up at a rapid pace. One thing that Taken 2 has going for itself is the complete lack of direct competition. By the upcoming weekend it might be the only PG-13-rated movie in the entire Top 10, an extremely uncommon occurrence at the box-office. That should give it one last good weekend until Skyfall will take away most of its target audiences. It doesn’t have a chance to reach the first film’s $145 million total, but even a $132 million finish that I am projecting now, still means a terrific 91% retention from the original and a surprisingly solid opening-to-total multiplier above 2.6. Benefitting from the lack of family-oriented openers, Here Comes the Boom held on to the 7th spot of the charts, grossing $5.2 million (down 38%) in the process. Its running total stands at $30.3 million after 17 days. That is still a far cry from what Sony probably hoped for it and a definite disappointment for Kevin James, but thanks to great WoM it developed solid legs and at least saved some face. Here Comes the Boom will wind up with $42 million in the bag. Despite no new competitors and a great “A”-CinemaScore, Alex Cross dipped three spots to #8, losing 55% of its audiences. The film’s 10-day total amounts to $19.5 million. It won’t be around for much longer, given that new competition will cause the film to lose most of its locations during the upcoming two weeks. In he best case, it’ll wind up grossing $26 million domestically. With Paranormal Activity 4 and Silent Hill: Revelation 3D disappointing, Sinister is turning out to be the most memorable horror box-office hit this fall. Sliding down to the 9th spot of the box-office, Sinister took in another $5 million (down 43.3%) and brought its cume to $39.4 million. With Halloween ahead, it might be able to crawl to $50 million afterall. The PG-13 Halloween comedy Fun Size crashed at #10 with just $4.1 million from 3,014 theatres, averaging an embarrassing $1,361 per venue. With a $12 million budget, the film won’t be a big loss of money, but it’s still a terrible start. Not only it is the worst opening for a Nickelodeon-produced film ever, but it’s also the 3rd-worst opening ever for a movie released in more than 3,000 theatres (behind Hoot and The Seeker: The Dark Is Rising). Even with decent WoM and little competition, it will fizzle out at $10 million. Pitch Perfect suffered under the loss of over 650 theatres and dropped out of the Top 10 in its 5th weekend. Down to #11, the movie decreased by 41.6% to $3.9 million and has reached $51.3 million in total. A final gross around $60 million still seems likely. Rounding off the Top 12, Frankenweenie also enjoyed its last weekend in the sun, even though its entire run has been rather bad. Tim Burton’s black ‘n white 3D-stop motion animation dipped 43.3% to $2.5 million. Its total now amounts to $31.8 million. The movie will top out with $36 million, making it Burton’s worst performer ever aside from Ed Wood – and that even unadjusted for inflation. At last, it’s noteworthy to mention Chasing Mavericks. The surfing drama bowed at #13 with a miserable $2.3 million from 2,002 venues (PTA of $1,133). It’s the 11th-worst opening weekend ever for a movie that has opened in more than 2,000 theatres and even the “B+”-CinemaScore (best among all new releases) won’t prevent it from losing most of its theatres in its third weekend. It’ll end up with no more than $5 million.